I loved how cute the apartment was. It felt like home and was extremely comfortable and clean. The location was amazing. we were able to walk anywhere we wanted. I would definitely go again and recommend to anyone visiting Krakow. The location was close to the main square and all attractions. The apartment was well decorated, very clean, very quiet. The beds very confortable. The kitchen has everything you need.We highly recommend this place ! Spacious flat, i like the vintage apartments so it was. Well equipped flat. I arrived very late from a flight and it was easy to get in contact with the owners who met me with the keys. It was an amazing location and the room was exceptionally clean, well stocked with necessities like hairdryer even a toaster, water, tea and coffee. Also charmingly decorated. Agata was very helpful and responsive. She answered our questions promptly and helped us navigate Krakow. The apartment was very clean and comfortable. It faces away from the road and was quiet. The location was perfect. The photos matched the actual apartment. Friendly Hosts. The location was central, a 10 - 12 min walk to the old town centre. The rooms were spotless. Great location, very clean and comfortable, had a great time!! Best location. Great attention to detail. Lovely decor. Comfortable bed. Smart TV with Netflix was a nice surprise. Communication 10/10. We would stay here again! The room was lovely, clean and exactly what we needed. Agata was a great host and met us on arrival as well as helping to arrange transfers. Would definitely recommend. Very nice apartment at a great location with walking distance to both old town and jewish area of Krakow. Great with dishwasher in the apartment and the mixer was a great surprise :-) which meant we could do a smoothie every morning for our breakfast :-). Supernice! 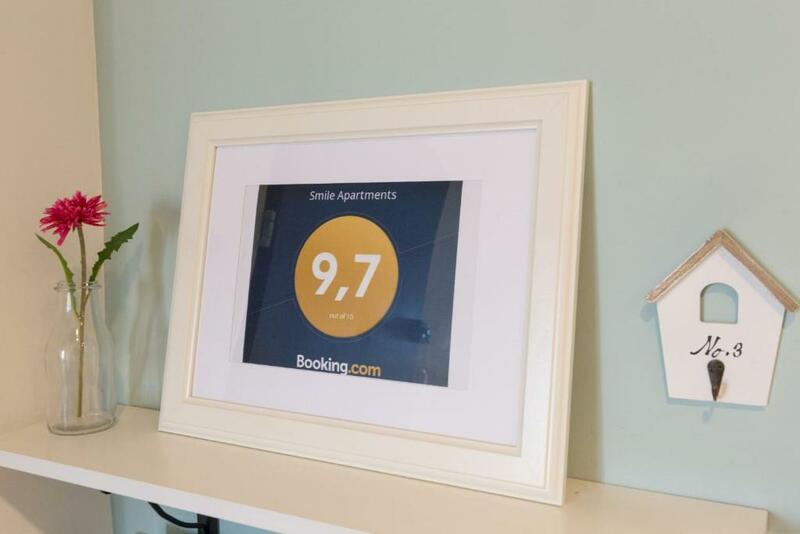 Lock in a great price for Smile Apartments – rated 9.7 by recent guests! 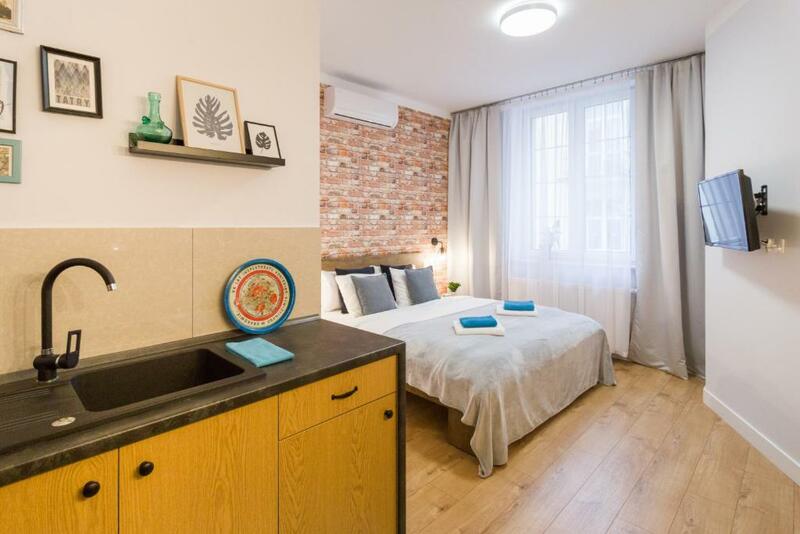 One of our top picks in Krakow.Smile Apartments has well-equipped accommodations boasting free WiFi in Kraków, 0.7 mi from St. Mary's Basilica. 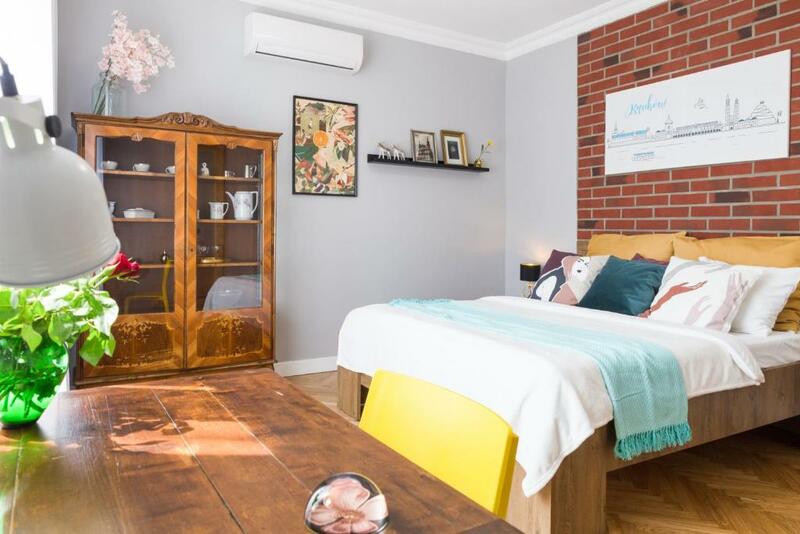 Most units come with a fully equipped kitchen with a toaster, a seating area with a sofa, a flat-screen TV, a washing machine, and a private bathroom with shower. Some units feature a dining area and/or a balcony. Kazimierz district is 1,650 feet from the apartment. The nearest airport is John Paul II International Kraków–Balice Airport, 16 mi from the property. 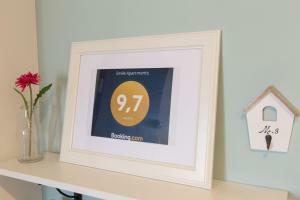 뀐 Located in the real heart of Krakow, this property has an excellent location score of 9.6! When would you like to stay at Smile Apartments? Public parking is available at a location nearby (reservation is not needed) and costs PLN 3 per hour. Apartamenty "Smile Apartments" to pięć komfortowych, stylowych mieszkań w samym centrum Starego Miasta Krakowa przy ulicy Starowiślnej. Każdy Apartament jest inny, w pełni wyposażony i przygotowany dla gości z z ogromną starannością. Nasze mieszkania znajdują się w jednej kamienicy. Budynek jest z roku 1930 i nie posiada windy. Miejsce jest komunikacyjnie świetne zlokalizowane. Do Żydowskiej dzielnicy Kazimierz dojdziesz piechotą w 5 minut, na Rynek do Kościoła Mariackiego w 10 minut. Apartamenty są duże, przestronne, po generalnym remoncie, oddane do użytku gości w 2017 i 2018 roku. Klimat mieszkań to połączenie starego z nowoczesnością - w Apartamentach są zabytkowe piece kaflowe, dębowe parkiety oraz stare drzwi służące za wieszak. Jesteśmy małżeństwem i od 2 lat zajmujemy się wynajmem krótkoterminowym. Każdy nasz Apartament jest wyjątkowy i inny niż pozostałe. Bardzo dbamy o każdy szczegół, komfort naszych gości i przede wszystkim o czystość. W Apartamentach znajduje się kawa, herbaty, woda mineralna oraz detergenty. Staramy się aby naszym gościom niczego nie brakowało i zawsze chętnie pomagamy podczas pobytu u nas. Miejsce jest świetnie skomunikowane. 20 m od budynku znajduje się przystanek komunikacji miejskiej zarówno tramwaju jak i autobusu, które pozwolą swobodnie zwiedzać miasto i jego atrakcje poza ścisłym centrum. W kamienicy obok znajduje się sklep spożywczy czynny w godz 6 - 22, pizzeria, apteka, piekarnia, pralnia samoobsługowa oraz bankomaty. Dzielnica Kazimierz usiana jest mnóstwem klimatycznych restauracyjek i pubów gdzie możesz skosztować różnych rodzajów kuchni a także wybrać się na zimne piwo lub potańczyć. Do Zamku Królewskiego dojdziesz spacerem w 15 minut. Miasto Kraków udostępnia turystom mobilną wypożyczalnię rowerów. Najbliższy punkt skąd można wypożyczyć rower jest oddalony o ok. 400 m od budynku. House Rules Smile Apartments takes special requests – add in the next step! Please inform Smile Apartments of your expected arrival time in advance. You can use the Special Requests box when booking, or contact the property directly using the contact details in your confirmation. Missed a coffee brewer and some better knives in the apartment. Towel dryer didn't work properly and the hot water was difficult to get to an even temperature in the shower (either too hot or too cold). Apartment was compact but had all necessary amenities. Within easy access to restaurants, coffee shops. Two main places Jewish Quarter and main square were in easy walking distance. The place was nice and clean, bed very comfy. Especially the kitchen facilities was helpful. Absolutely fantastic place for family stay but not only. Two spacious rooms, full equipped apartment, close to Jewish district and center, just 10 minutes walk both ways. Good connection to Ergo Arena, just one tram directed from the flat. My children were overwhelmed having 2 separate beds, they loved it. The host was great, always answer the phone, nothing was a problem. Downstairs shops, great coffee shop (knitted coffee), tourist trips point. The apartment is quiet cause windows are not on the street. Great stay! Just wish we were staying longer! Amazing stay at Smile apartments. Couldn't fault a single thing during our stay. Host was lovely and contact number was given if we had any problems. Apartment was 5 min walk to market square and was very very clean! Everything you could imagine was provided inside the apartment- kettle, toaster, microwave, sink, breakfast bar, comfy bed, clean bathroom and iron (to share with next door). The wifi was also very quick! TV in the room came with Netflix which was useful. Our host also arranged our airport transfer to and from the airport which made our stay a lot easier with nothing to worry about. She also arranged our day trip to Auschwitz for us with pick up right outside our apartment, which was wonderful. 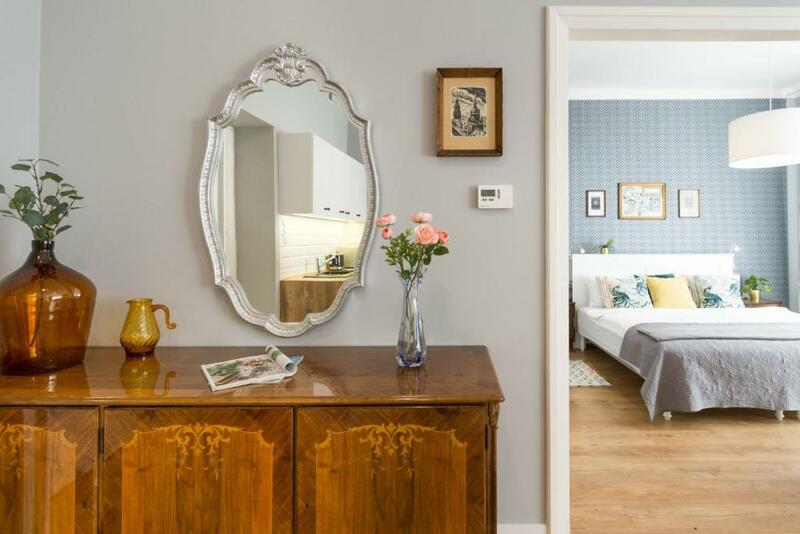 The Apartment was spotless clean and really nice if had every thing you could possibly need your trip away the bed was really comfy and bedlinen smelt so fresh also bathroom was beautiful.I Would definitely recommend to a friend. The apartment is in between the Jewish quarter and the Old Town within a ten minute walking distance. Michael and Agata are so so cute and the apartments is so lovely!!! Beautiful place in heart of Kazimierz District. Highly recommended!!! 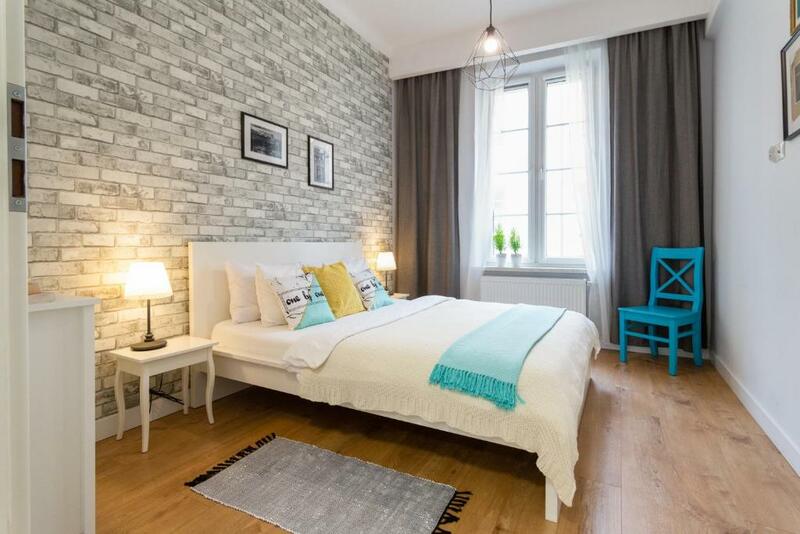 Very cozy apartment located in the Jewish quarters close to everything. Clean, comfy bed and a lovely host. Everything, the place was very nice and comfortable! No lift (3rd floor). The view is really not "interesting". Quiet, spacy, central, warm. we enjoyed it staying there. Very easy for key collection Michael met us.